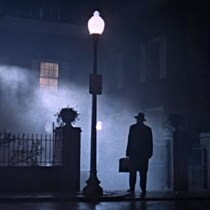 6 Terrifying Classics to Watch This Halloween | Valet. The end of October means it's time for watching spooky movies in the dark. And despite all the extreme guts and gore that are released nowadays, the best horror movies are the old school classics. If you're planning on staying in and screening some scary flicks, might we suggest the following? Hitchcock's iconic movie is known as the father of the modern horror thriller. The stylish film (note the cool title sequence) with the screeching soundtrack has a lot more scares to offer than just the shower scene. 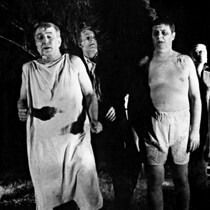 George A. Romero's low-budget 1968 film is credited with creating the zombie genre. 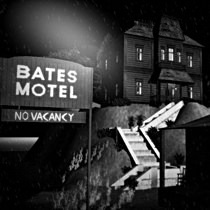 The grainy, black-and-white imagery is not only spooky, but it proves that you don't need a lot of special effects to make a horror classic. 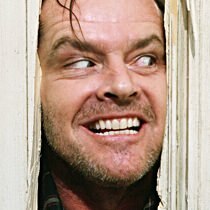 Kubrik's serene visuals and ominous music set the pace for Jack Nicholson's heart-racing portrayal of a mountain lodge caretaker gone mad. The floating, eerie shots makes the film as beautiful as it is frightening. 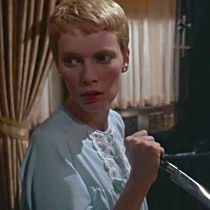 When this devilish film starring Mia Farrow opened, Roger Ebert's review began, "It's a creepy film and a crawly film, and a film filled with things that go bump in the night. It's very good." Enough said. One of the most profitable horror movies ever made, William Friedkin's 1973 demonic-possession masterpiece starring Linda Blair is expertly made, well acted and still scary as hell. Forget about the remakes, Tobe Hooper's original (which as been remastered into 4K with a new surround sound mix) focuses on five youths on a weekend getaway that fall prey to a depraved family of cannibals. The skeleton at the end of The Texas Chainsaw Massacre isn't a fake. It's a real human skeleton, bought by the filmmakers in India. One of menswear's favorite films.